I’ve made a horrible habit this year of reading wonderful new releases, loving them, and then writing absolutely nothing about them. I did it with Bellewether by Susanna Kearsley, Lands of Lost Borders by Kate Harris, Bookworm by Lucy Mangan, and, perhaps most egregiously given how much I adored it, Ayesha at Last by Uzma Jalaluddin. But I will not do it with The Rise and Fall of Becky Sharp by Sarra Manning – in fact, I will even manage to review it within days of its release. Victory. As the title indicates, this is the story of Vanity Fair but Manning has updated Thackeray’s characters for the 21st Century and dialed up the glamour. She has traded rural aristocrats for eccentric acting royalty, regimental balls for the Cannes film festival, and the wilds of India for the wilds of LA. It is all joyfully fun and at the heart of it is a perfectly done Becky Sharp, just as clever and manipulative as the original but with even more ambition – and, in this egalitarian age when any pretty girl with an Instagram account can make her fortune, even more tools to reach the heights she aspires to. Orphaned in her mid-teens, we meet Becky at age 20 as she is coming out of the Big Brother house, having finished as runner-up to sweet, naïve Amelia Sedley. Becky, despite all her plotting and strategizing in the house, soon discovers that reality star fame is measured in days and, after mooching off of the Sedleys, finds herself working as a nanny for Pitt Crawley, an aging star who has rejected acting – sort-of – in favour of living an “authentic” life. But rural obscurity with a sexagenarian trying to seduce her daily is not Becky’s idea of life. And so, with the arrival of Rawdon Crawley, Pitt’s actor son who seems poised for success, and Mattie Crawley, Pitt’s elder sister and a grande dame of the acting world, she begins her careful manoeuvrings. Where Thackeray’s Becky had only beauty, charm, and cunning to aid her, Manning’s Becky has all those plus a PR team (or rather Rawdon’s PR team, whom she acquires after their marriage) and powerful social media platforms to assist her rise in the world. Soon she is being sponsored by luxury brands, hobnobbing with all the right people, and hosting a chicly ironic sausage-and-mash salon (a brilliant touch) that attracts everyone from Zadie Smith to Kim Kardashian. She has arrived. Only the Guardian had come to her defense in some long-winded opinion piece about social mobility and how there weren’t many routes open to working-class girls from broken homes, and so who could blame Becky for weaponizing her sexuality? I laughed until I had tears when I read that. Tabloids or not, Becky is not a woman anyone can keep down. When we leave her, she is rising again – and aspiring to truly dizzying heights. In her retelling, Manning changes very little of the story’s essentials. There are fewer deaths, which is rather nice, and the timeline is condensed but that is it. If you love Vanity Fair, you will find everything you love still here. And if you don’t know it yet, this would be a very fun introduction, though I can’t help feeling it would be a shame. I think you’d miss some of Manning’s own cleverness without knowing the original. There is a horse called Pianoforte! 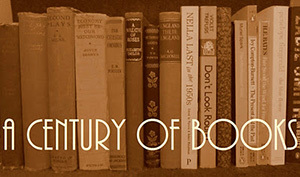 Who cannot love that who knows the books? While Vanity Fair is famously a novel without a hero, its male characters – while consistently unheroic – are all well-represented. George Osborne is now a slimy young conservative politician, Rawdon Crawley is a troubled actor with drug and gambling addictions, Dobbin is an earnest soldier (the only character who required no updating whatsoever) and Jos Sedley is…no, that’s too good to tell you. You must read that for yourself. Amelia, interestingly, is where Manning makes the greatest deviation from her source material and it is all for the better. Generations of readers have warmed to Amelia but pitied her. Manning gives her something to do and to excel at – and the fact that it upsets George enormously makes it all the sweeter. It is also another way for Manning to tie in more contemporary satire, which I will never say no to. I loved this book and had so much fun reading it. I had fully intended to wait for my upcoming holiday and read it after long days spent hiking in the Austrian Alps. Instead, I bought it as soon as the e-book was released on Saturday (the paperback was released yesterday) and raced through it over the rest of the weekend. I regret nothing. It was funny and clever and just what I needed. There is a new television adaptation of Vanity Fair airing right now on ITV but, much as I love costume dramas, I see no need for it. Admittedly, this is partly because my love for the 1998 BBC adaptation is all consuming – Philip Glenister as Dobbin! What more do you need, people? – but why waste time on television when you could instead pass a few hours with this fresh, clever tale? 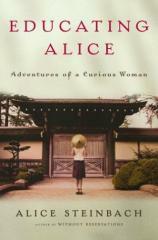 Educating Alice by Alice Steinbach – Steinbach, to me, is that well-meaning person who desperately wants you to like them and who is so earnest that you wish you could like but, really, you just spend every encounter wanting to hit them with something blunt. In this second travel memoir (following Without Reservations), Steinbach roams the world and indulges in too much introspection and overly romanticized prose. 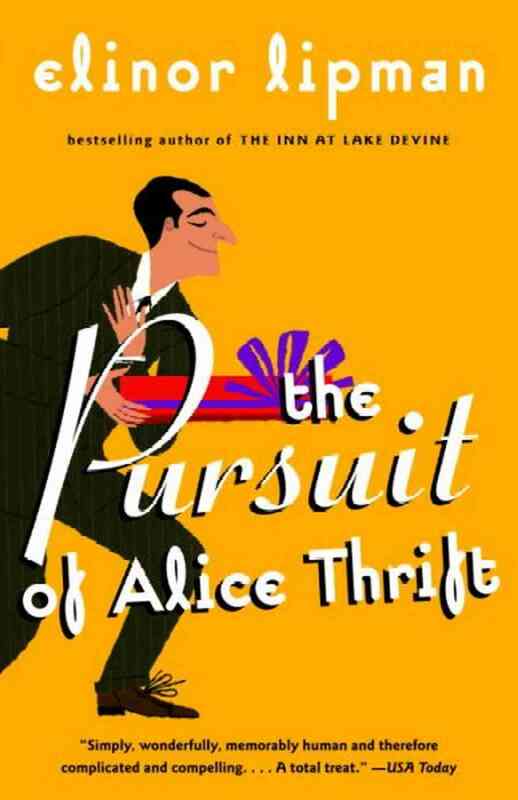 The Pursuit of Alice Thrift by Elinor Lipman – a much more likeable Alice, The Pursuit of Alice Thrift is a wonderful comedy about a young, socially-awkward surgical intern in Boston (but of course – this is an Elinor Lipman book) who finds herself being wooed by Ray Russo, who seems very likely to be a conman. But at least he’s a man. It is fabulous and hilarious. Alice is marvellously blunt, Ray is exquisitely slimy, and the two friends Alice makes over the course of the novel – sassy Sylvie and supportive Leo – are friends I would love to have myself. Very, very fun. 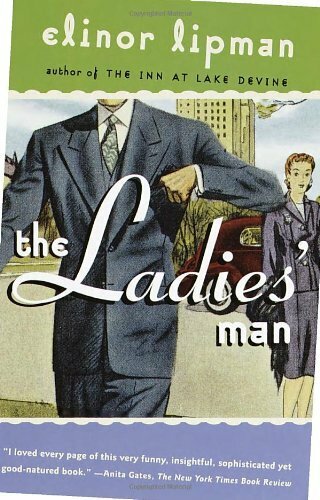 The Ladies’ Man by Elinor Lipman – I’ve read almost all of Lipman’s novels now (only My Latest Grievance awaits) and I have to say that this is not one of my favourites. That said, my least favourite Lipman is still better than almost anyone else’s best. Thirty years ago, Adele Dobbin was jilted by her fiancé, Harvey Nash. Suddenly, he shows up on the doorstep of the Boston apartment Adele shares with her two sisters with a belated apology. An inveterate ladies’ man, Harvey (now going by Nash Harvey) attempts to charm a series of women over the course of the book. Though the Dobbin women prove immune to his charms (one of them goes so far as to break a casserole dish over his head when he attempts to hit on her), his arrival does inspire them to look to the romantic lives they have largely ignored. Lipman is as clever and witty as ever, I just think there were too many characters splitting focus here, making for an uneven flow. 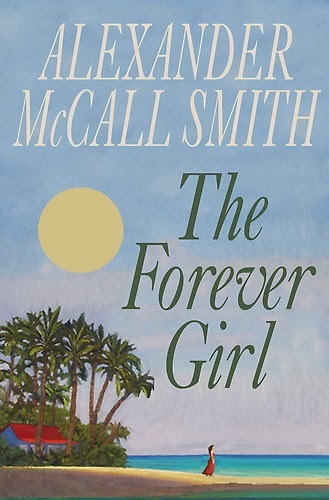 The Forever Girl by Alexander McCall Smith – In that weird space between not good and not horrifically bad. So…inoffensively bad? There were some good moments but the characters were completely flat, every last one of them. Spring Magic by D.E. Stevenson – I wish I had more to say about this book. It is pure escapist fantasy, about Frances, a young Cinderella-like woman, who is able to escape from her aunt after their London home is damaged by a bombing during the Second World War. The aunt heads into the country with the expectation that Frances will accompany her. Instead, Frances heads for a fishing village in Scotland to figure out her life and develop some independence. Her stay is enlivened by the arrival in the neighbourhood of a regiment of soldiers – and the officer’s wives. The socializing from then on is reminiscent of the Mrs Tim books, since the military wives prove far more interesting than Frances and her mild romantic problems. It’s a sweet book but not quite as energetic as DES’s best works. 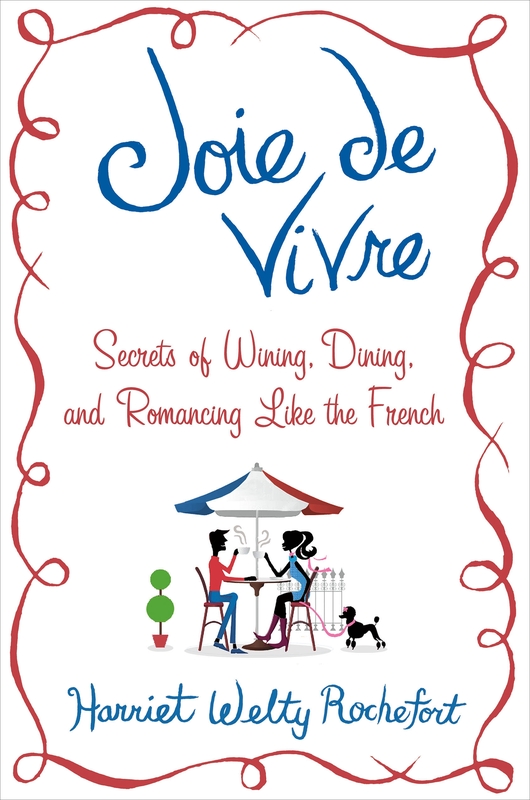 Joie de Vivre by Harriet Welty Rochefort – hands down the best – and most entertaining – book I have read about the French. Having lived in France and been married to a Frenchman for forty years, Rochefort is more than qualified to discuss the good, the bad, and the mysterious elements of French culture and the French psyche. She is humorous and does not over romanticize or demonize – an all too common failing of this sort of book. Very enjoyable. Waiting on You by Kristan Higgins – Higgins is back on form after her disappointing last book. It Felt Like a Kiss by Sarra Manning – despite a title that makes the book sound like it is about domestic abuse, this was actually a rather interesting look at what happens when a young woman’s greatest secret – the identity of her famous father – is leaked to the press by a vengeful ex-boyfriend. 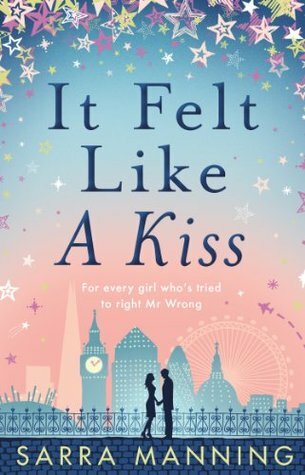 The romance was less than convincing but the way Ellie’s life was twisted by the press with complete disregard for the truth was all too disgustingly real. Unsticky by Sarra Manning – A very fluffy premise – what happens to a young woman when she agrees to become the mistress and hostess for an older art dealer – but a surprisingly engaging and interesting book. I really enjoy Manning’s writing and though her books are always long, none of it feels like filler. I did find Grace’s liberal use of “like” wildly irritating, though that thankfully faded over the course of the novel, and was thrown by some of the little details of the scenes set in BC: Vancouver, which has the same climate as London, can hardly be described as the “icy hinterlands of British Columbia.” Also, where on earth did they find a Caribbean nurse in Whistler? But these were minor, minor issues and for the most part I loved the book. I also couldn’t help thinking that Clare Carrington from The New Moon with the Old would approve.